We have released a new WordPress plugin – WP Tumblr Auto Publish. 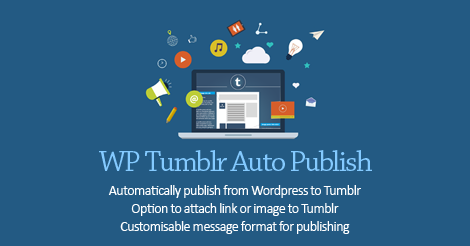 WP Tumblr Auto Publish is a simple wordpress plugin that allows you to publish posts automatically from your blog to your Tumblr account. The plugin saves you from the manual task of copying your blog updates and publishing them manually to your Tumblr account. Find below some of the major highlights of the WP Classifieds Listings WordPress plugin.